Yes, I went to Peru but didn’t go to Machu Picchu. Who does that?!?! 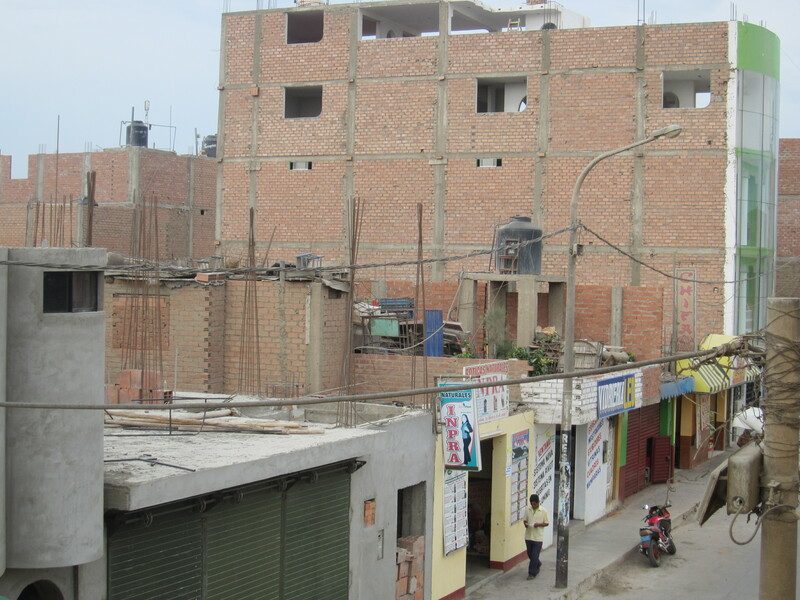 Well, as you may recall from my previous posts, Hubby and I booked our flights to Lima and then shortly after discovered I was pregnant. We decided not to go to Machu Picchu because of the altitude. 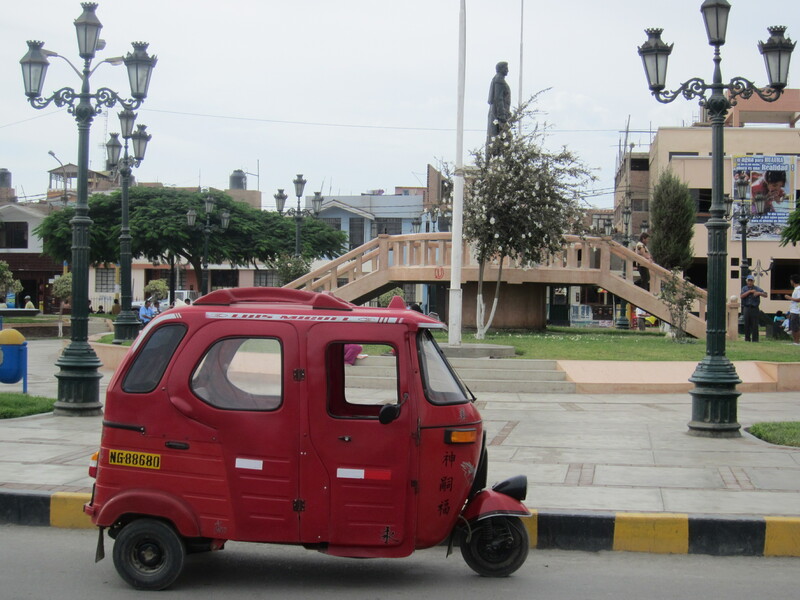 Instead of postponing or canceling the entire Peru trip, we decided to just make the best of it, basing ourselves in Lima and see what that area has to offer. Not being able to go to Machu Picchu when Hubby and I went to Peru last year turned out to actually be a good thing. Why? 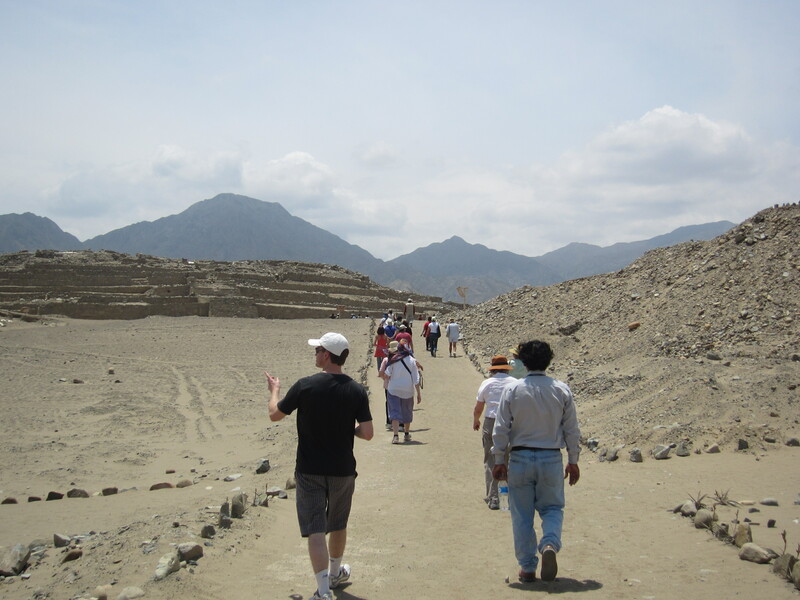 Because it forced us to spend more time in Lima and it’s surrounding areas, really taking the time to absorb the culture and do things that we would’ve otherwise skipped if we were rushing to go to Machu Picchu. 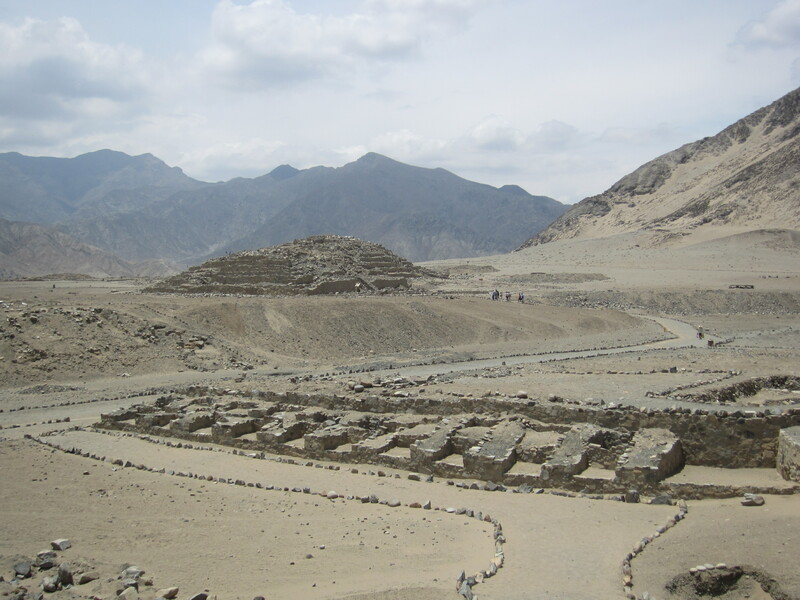 One of the trips that we decided on to do on a whim was a day trip to Caral. 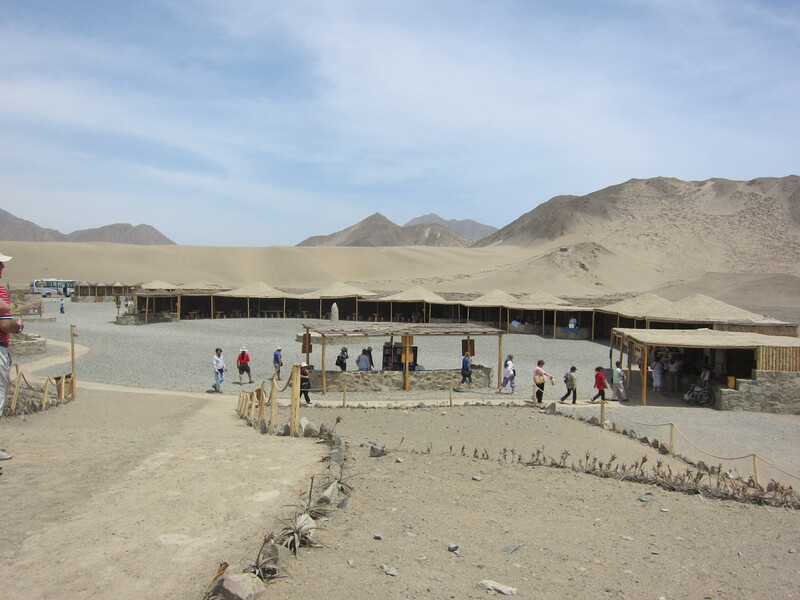 In Miraflores’ Kennedy Park, there’s a tourist information kiosk that sells tours, one of which is a group tour to the ancient ruins of Caral. 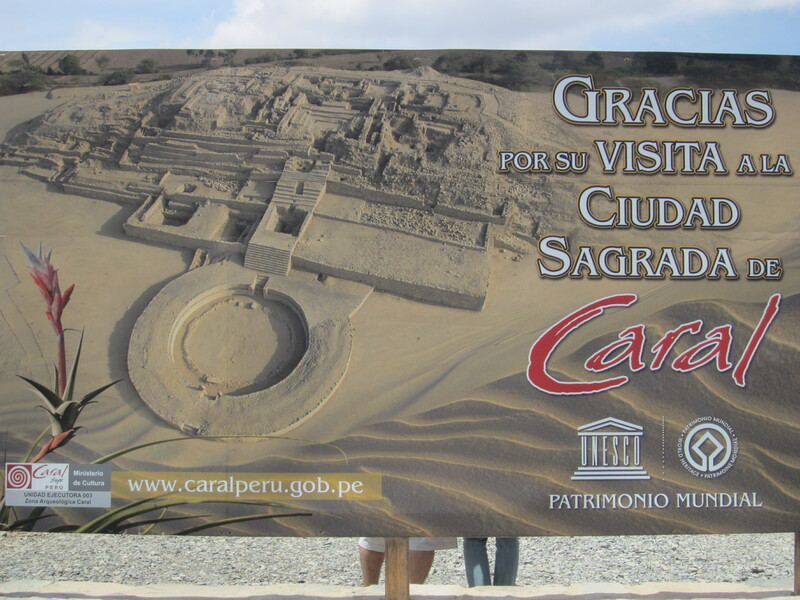 For around $70 US per person, it included transportation, a guide, entrance to Caral and lunch. At 7am the morning after we purchased our tickets, we were on a small minivan departing from Kennedy Park. There were about 15 of us, with only Hubby and I being the only non-Spanish speakers. Thankfully, the tour guide spoke just enough English and was kind enough to always make a point of translating for us. 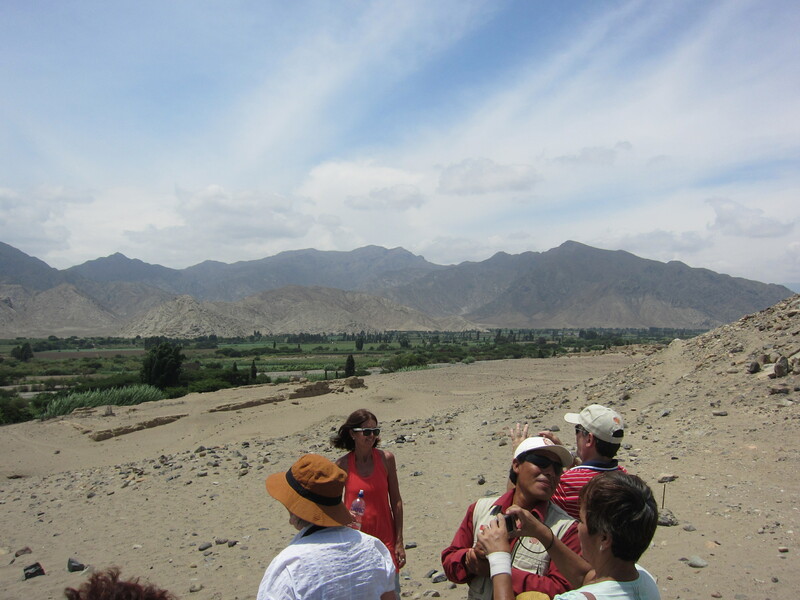 On the way to Caral, our tour guide talked a lot about Peru’s agriculture. 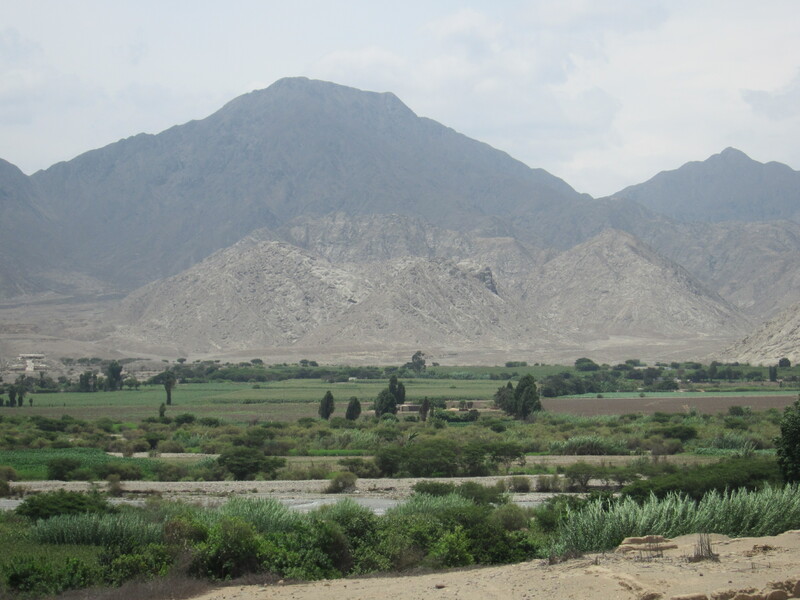 It was interesting to see and hear how the Peruvians take full advantage of what little rainfall they have to produce hardy crops. We also made a breakfast stop (not included in price) at a small restaurant next to a gas station that specializes in chicharron (pork and sweet yam) sandwiches served with coffee. 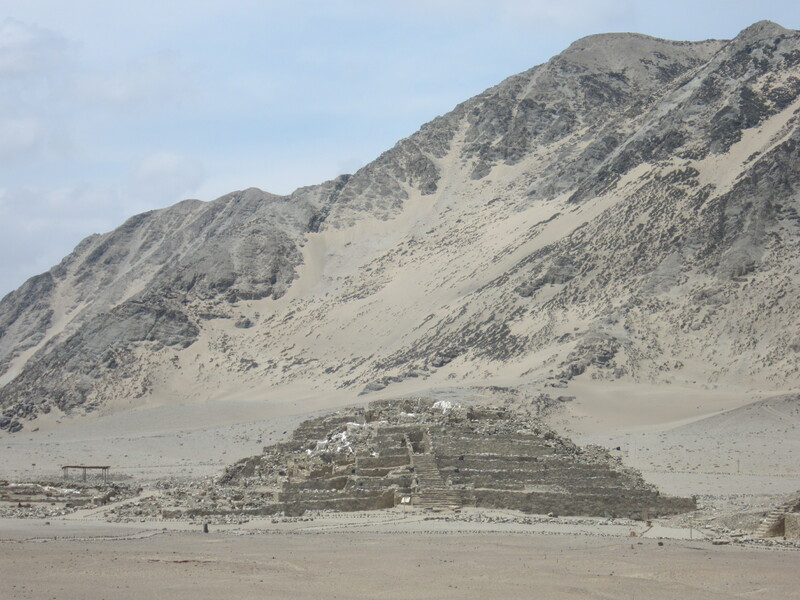 The first 3 hour portion of the journey from Lima to Caral was on the freeway, Pan Americana Norte, so it was smooth and easy, with wonderful views of the cliffs and ocean below. 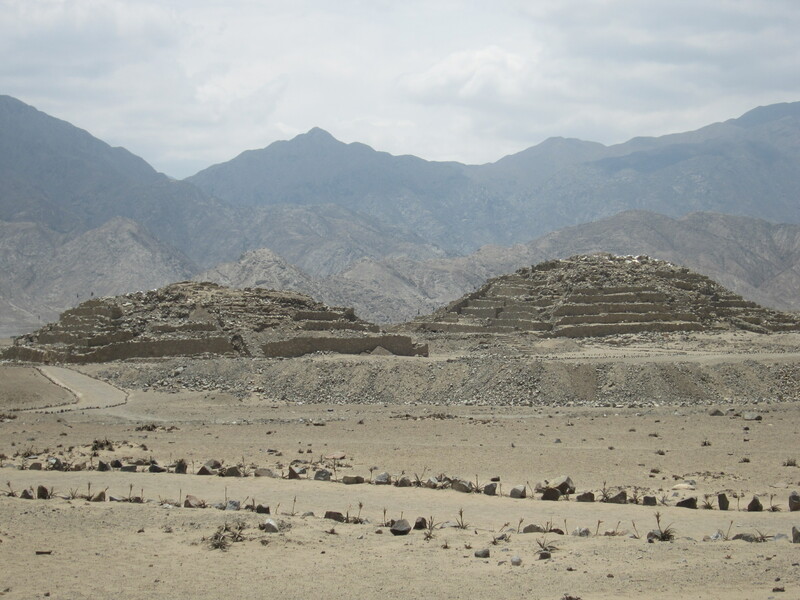 Then we hit the village of Supe and for the next 30 – 45 minutes had to endure a BUMPY and ROCKY ride on an unpaved dirt route till we got to the ruins of Caral. It was so bumpy that I worriedly hugged my small baby bump the entire time, scared that the constant up, down, left, right jerking was going to hurt the little guy. While this portion of the trip was quite unpleasant, it definitely added to the “wow we’re REALLY going somewhere remote” feeling. The numerous chicken farms that we passed by, placed in such a desolate area, was definitely random. 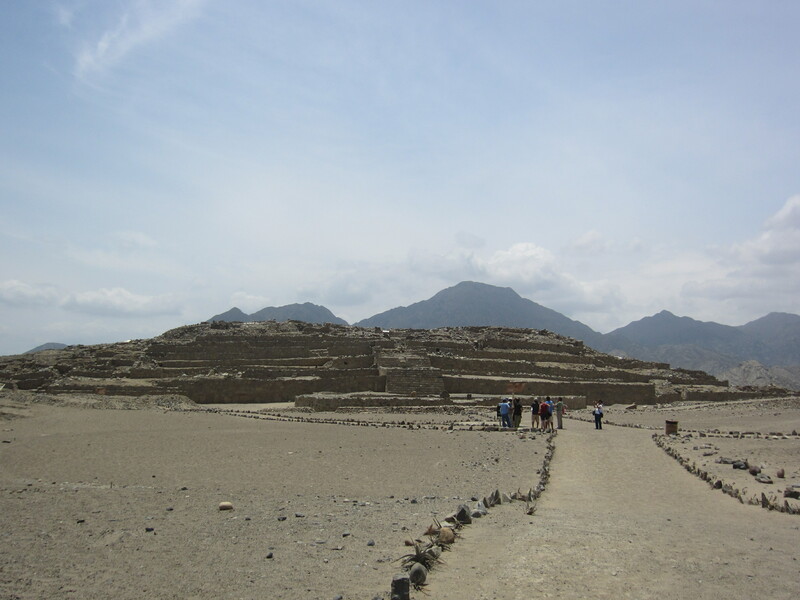 Caral is the most ancient city in the Americas and was home to thousands of people. 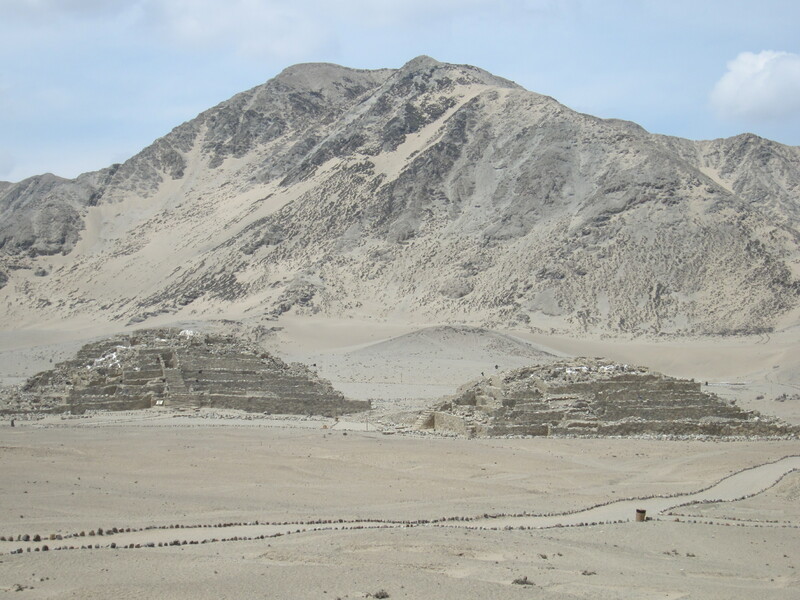 The big pyramids are estimated to have been built about 5,000 – 4,500 years ago, as old as the Egyptian pyramids. 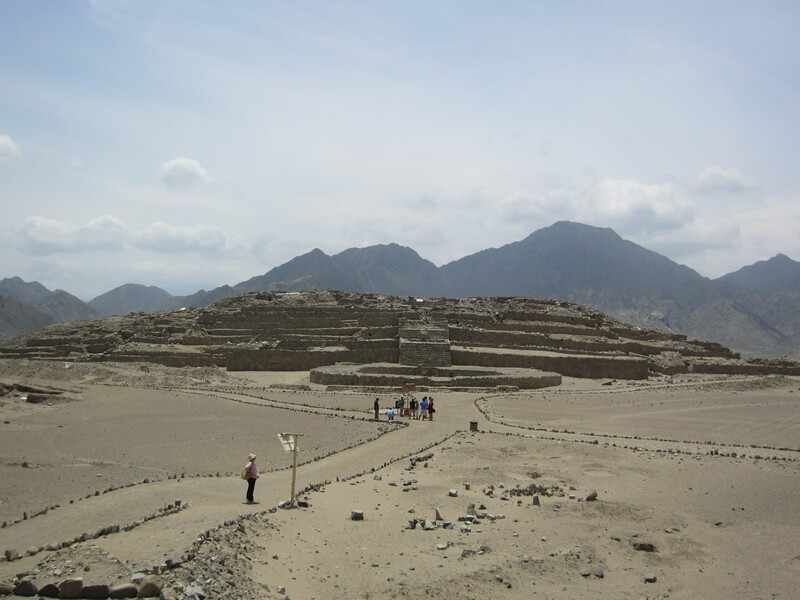 Along with the pyramids there are residential structures, plazas, an amphitheater, and temples. In addition to our tour guide from Lima, we had a local guide who had been trained by the government to guide and educate tourists on the site. Don’t worry if you don’t know Spanish. Big posters are set up outside various areas that explain the cultural significance and artifacts (and sacrificed body!) found inside. Walking around the arid place, many of us questioned why the ancient civilization chose to live there. 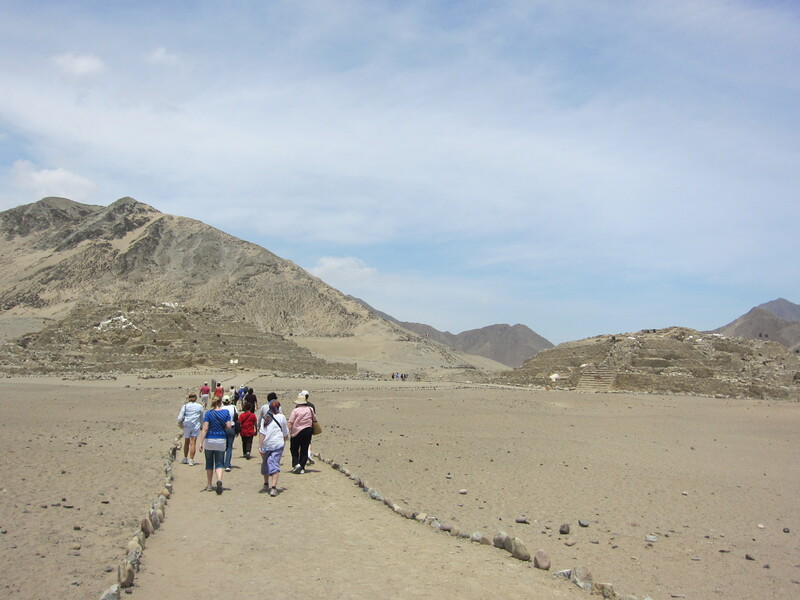 Then we reached the green valley of Caral and the local guide explained that the fertile valley is likely where the people grew their food and raised their animals. After about two hours our tour was done and we headed back down to the entrance area where there’s a small museum and some local people sell trinkets and snacks. Hubby and I got refreshing frozen mango sticks. 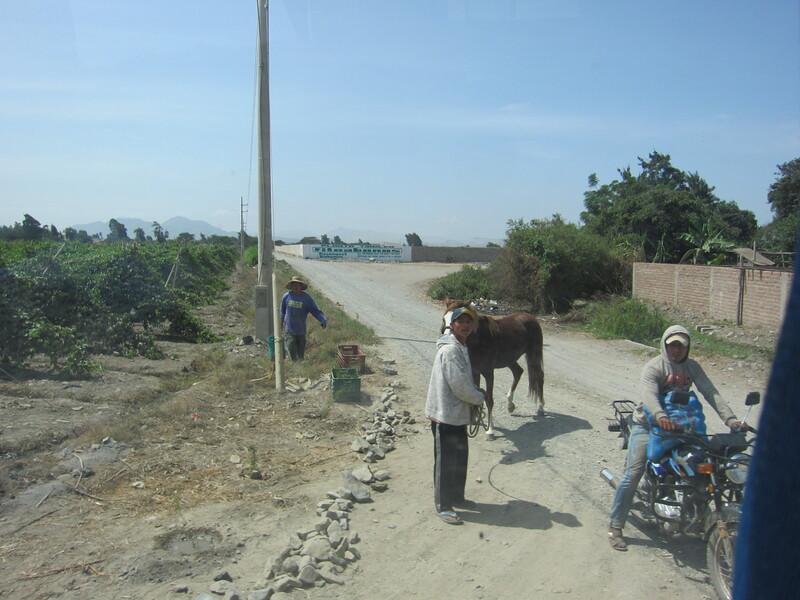 Back in the van and having survived the horrendous road out, we stopped at a hotel in the local village for lunch. As with the rest of the tour, the lunch spot seemed to be the most random place ever. This kind of run-down hotel behind locked gates where families were enjoying the swimming pool and playground while right outside were shanty houses. We then made a quick stop at Huaura. 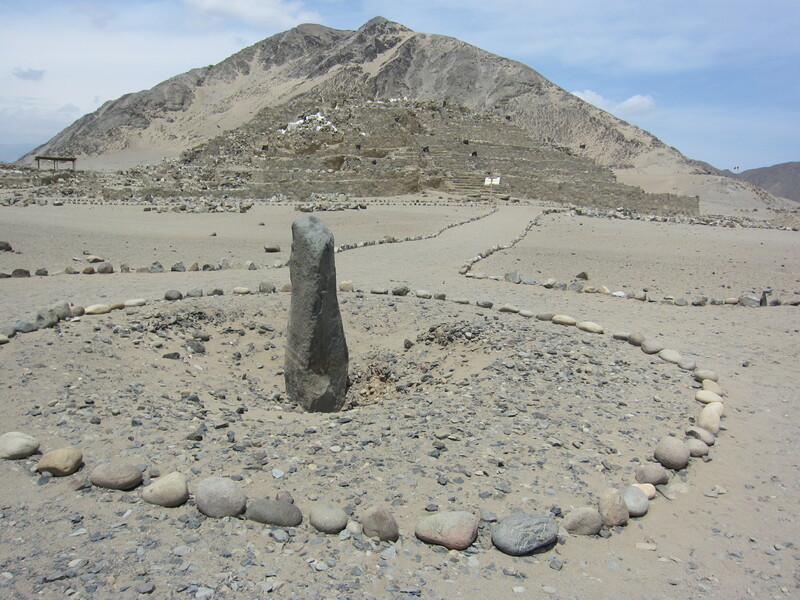 Huaura has a lot of historical significance because it’s where San Martin first declared Peru’s independence from Spain. 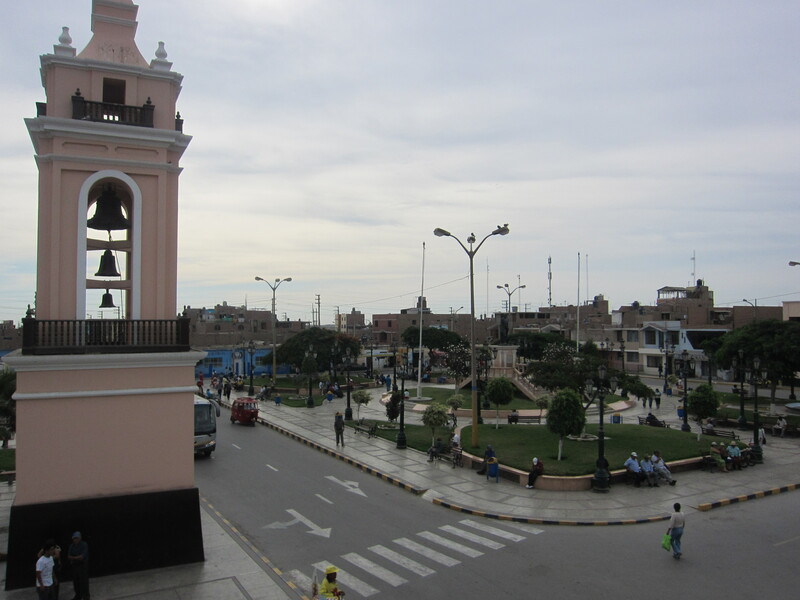 Here’s the Plaza de Armas – Huaura and Parque la Bandera. 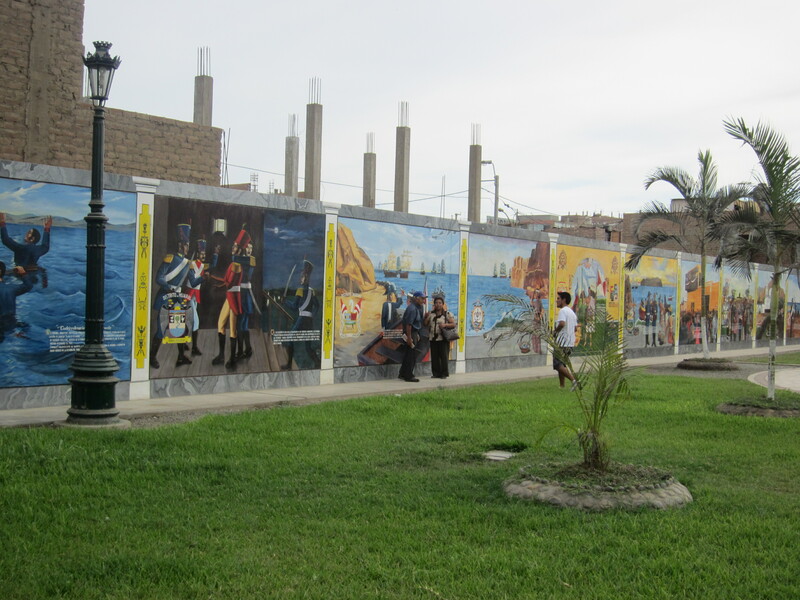 On the walls of the Parque are murals depicting the chain of events leading to Peru’s independence. We also took a quick peek around Balcon de Huaura across the street, which is the building from which San Martin, standing at the balcony, declared independence. Today it’s been turned into a museum with a lovely courtyard garden. 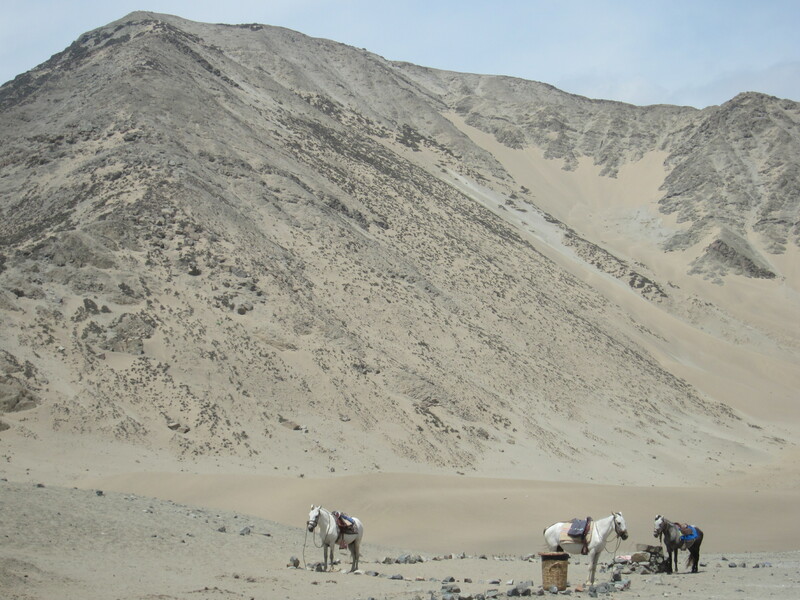 While the central area of Huaura was quite pretty, it was a stark contrast to just a few blocks away, where it looked quite impoverished. 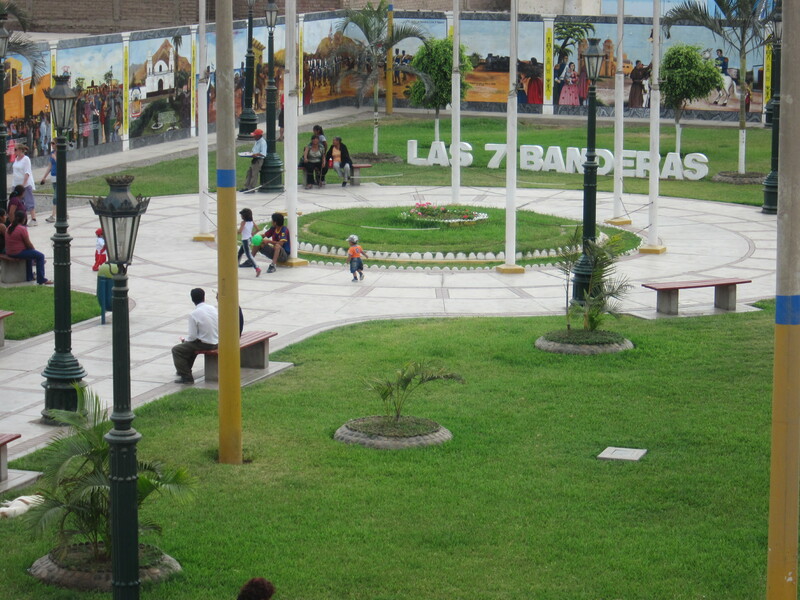 By the time we arrived back in Lima, back to Miraflores’ Kennedy Park, it was around 8pm. While it was definitely a very long, hot, and sometimes uncomfortable day, it was definitely worth all the trouble. 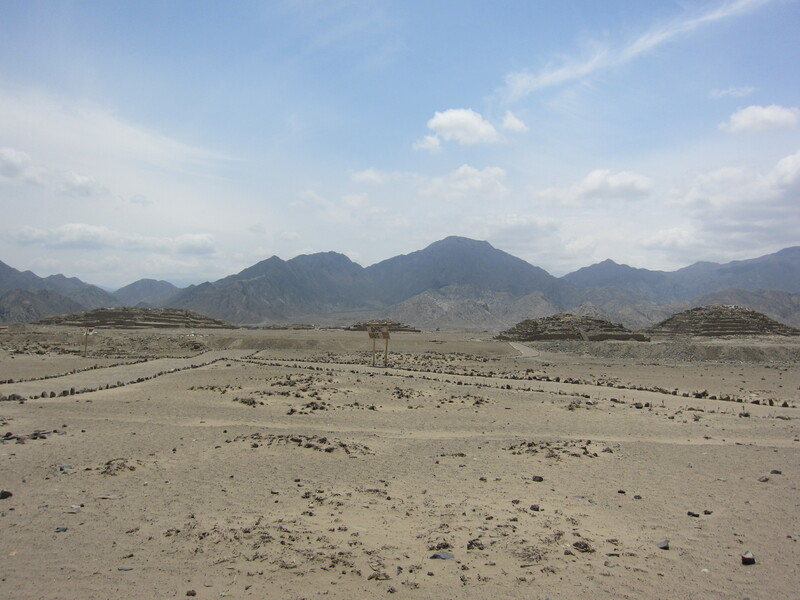 Standing in the vast ruins of Caral, with no one else around but our own little group, it felt like we were in a totally different world, one that has yet to be discovered. It’s only time before Caral leaps in popularity. Once it does, the journey to get there will undoubtedly be made much easier by the government, eager to capitalize on tourist money. It’ll be easier but it’ll be less of an adventure. Go now!